The statements started appearing in newspaper adverts yesterday. SMOKING KILLS AN average 1,200 Americans daily, US tobacco companies admitted in court-ordered “corrective statements” published in newspapers. The ads began appearing 11 years after District Judge Gladys Kessler, in a 1,682-page opinion, ruled in 2006 that the companies violated racketeering laws by deceiving the public for decades on the health dangers of smoking. She ordered them to publish corrective statements on five health topics, but the exact wording of those statements was held up pending tobacco company litigation. In 2014, the companies and the US government reportedly reached agreement that the ads would be published in major Sunday newspapers as well as on prime-time television for a year, and elsewhere including on cigarette packages. “A Federal Court has ordered RJ Reynolds Tobacco, Philip Morris USA, Altria and Lorillard to make this statement about the health effects of smoking,” said the full-page newspaper ad, consisting simply of plain black type on an otherwise bare newspaper page. “Smoking kills, on average, 1,200 Americans. Every day,” it said. The ad continued that “more people die every year from smoking than from murder, AIDS, suicide, drugs, car crashes and alcohol, combined,” with the last word highlighted. 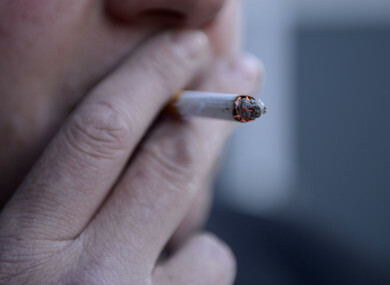 It also listed various diseases and health conditions that “smoking also causes”. Kessler’s ruling was part of a government racketeering case against major cigarette companies originally brought in September 1999. Further court-ordered ads with additional health messages will continue appearing in the newspapers of more than 50 major cities through April, said the American Cancer Society. Along with other health groups, the Cancer Society intervened in the case and made recommendations about the corrective statements. Their publication is “a significant victory for public health,” the Cancer Society said on its website. “What this case has succeeded in doing is to finally force the tobacco industry to ’fess up to what it has known and done for the past 50 years,” said Cliff Douglas, director of the Cancer Society’s Center for Tobacco Control. Email “US tobacco companies ordered to put out statement telling people their products kill”. Feedback on “US tobacco companies ordered to put out statement telling people their products kill”.